The ideas expressed in this article do not necessarily reflect Nodal’s publishing view. Nevertheless, we believe that it is important to let them known as they contribute to a comprehensive idea of the region. Satellites, spacecrafts, mobile phone rechargeable batteries, computers and laptops, pacemakers, digital cameras, atomic reactors, electric vehicles and bicycles, antidepressant drugs… all of them have something in common: lithium. This is a white-silver-coloured and soft metal with a great capacity to store energy. Transnational companies are seeking to get it. At present, in the United States, Europe and the Asiatic South East, there is the intention to impose to community the idea that environmental pollution from the use of fossil fuel cannot be stopped due to the “inability” on the part of the main lithium producers who are South American. “The lack of lithium supply makes the electric vehicle stop running”, José Ángel Plaza emphatically claims in El País, the Spanish newspaper. New methods are needed to extract and process more rapidly, cheaply, efficiently and ecologically the metal to manufacture these vehicle batteries, that is, lithium”, he adds. Historically, extraction has been centered on the Lithium Triangle which comprises Bolivia, Chile, Argentina (and a part of Brazil) salars. It comprises 85% of world reserves (40 million tons estimated). Its processing –two years- requires huge and expensive evaporation ponds which damage the environment and only 40% of lithium available in tanks can be used. It is supposed that, in order to protect the environment, central countries and transnational companies have agreed to keep lithium bags to guarantee its supply to the new electric vehicle industry. Thus, they would be paying no attention to social, environmental and health problems in our country arising from the extraction of other materials necessary to produce batteries, mainly black lead and cobalt. “Electric vehicles represent the future. They are clean, amusing to be driven and can operate with a low- cost recheargable energy. But they are hungry and its hunger is only satisfied with lithium”, David Snydacker, an American counselor, claims. In fact, not automobiles but automobile manufacturers are hungry. According to Goldman Sachs, lithium global demand increased 20% in 2016 and it is foreseen to increase 30% in 2018. This is because, apart from using lithium in electric vehicle batteries and mobile devices, this metal is used to manufacture lubricant greases, ceramic glass, air-conditioners, glues or adhesive products, among others. According to the American businessman David Syndaker, the bottlenecks in lithium distribution chain can slow down the battery manufacture rhythm. 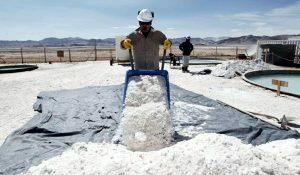 Manufacturers of batteries and automobiles are seeking to celebrate long-term contracts to supply lithium, “but this supply is slowing down because of the difficulties to build evaporation ponds in faraway areas in South America to continue obtaining this metal; furthermore, this results in higher prices”, he says. This soft and sticky metal is used to manufacture lithium ion batteries, one of the best options to feed electric vehicles due to the “high performance related to its energy density and its charge cycles”, according to Arturo Pérez de Lucía, a director at the Spanish Business Association for the Development and Encouragement of Electric Vehicle. These elements have a second useful life for energy storage after having been used by the automobile sector: they keep around 80% of their capacity and can be recycled once their cycles are exhausted. Carlos Arribas, a member of the Spanish organization Ecologistas en Acción (Ecologists into Action), considers that “it is absolutely impossible to turn all the existing combustion automobiles into fully electric models”. Joel Lowry, Chairman of Global Lithium LLC, who counsels all agents involved in this metal business, says that in the year 2025 electric cars will represent 5% of global market. Nevertheless, around 6,000 million dollars should be invested in lithium supply up to 2020 in order to cover such manufacture level. The purpose of maximizing this benefit for automotive companies is to guarantee the resource at the lowest possible price thus regulating the differential incomes. Central countries are those which consume lithium without any exception. Peripheral countries do not demand it. During this year –although people in general have not noticed it- lithium race has been intensified among Chile, Bolivia, Argentina and Brazil. That geographical area located in South America, in the limit among Argentina, Bolivia, Chile and Brazil is called Lithium Triangle. It keeps the largest reserves of that soft metal in the world. In 1998, one lithium ton was 1,670 euros and it has reached 8,600 euros this year 2017. If we take 850 million tons Argentina possesses twice 1,670 euros per ton we may have a clear idea of the economic importance of such field. If we do the same estimation with the approximate 5.5 million tons Bolivia possesses, the amounts are outstanding. Unlike copper and other metals, lithium is not quoted on the Stock Exchange. Its price results from negotiations between producers and consumers. At present, it is around 6,000 dollars per ton. In the short run, its increase will depend on the number of players in the market. However, demand will be steadily increased due to conversion of combustion-engine automobiles to electric ones. 85% of reserves which have been found out in the world are located in the area called Lithium Triangle (also known as puna plateau), composed by Bolivia (Uyuni Salar), Chile (Atacama Salar) and Argentina (salars of Jujuy and Salta puna and north of Catamarca), where the State has almost no action at all while companies are exercising their power when unfairly dealing with local communities. 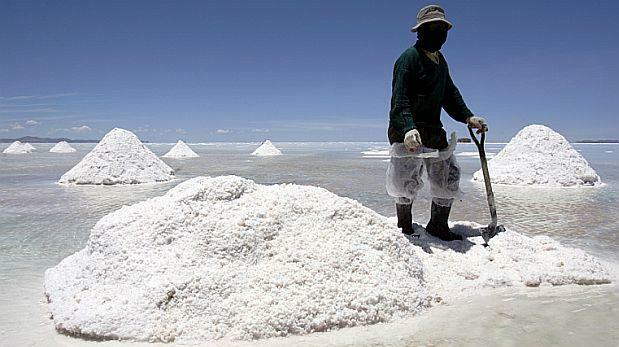 According to the information available, lithium is one of the most abundant minerals in nature and 85% of reserves in the South American territory represent the lithium reserves globally known in salt flats. Its extraction is the cheapest in the market but it hides other types of reserves (in rock, in clay, in espodumene, and even in sea water) that do not any longer call the attention of mining transnational companies due to high extraction costs. The most optimistic economic analysts have estimated that, during next decade, lithium will have an essential role to keep energy. It is thought that the use of lithium for electric and hybrid car batteries will have a significant role when trying to diminish gasses which provoke the greenhouse effect. What we do not know is which the cost of it will be. At least nine lithium mining transnational companies are exploring in the Jujuy and Salta puna. There are 18 projects seeking for starting exploitation in the following 2 to 6 years, in a territory occupied by above 40 indigenous communities; only 7 of them have expressed their “consent” to that territorial usage. It is an illegal “consent” as it does not fulfill all the requirements stated by the OIT Agreement 169 and the United Nations Declaration on Indigenous Peoples’ Rights. It is one of the most interesting industrial ores, with special properties related to heat and electricity conduction. It appears in a wide range of ores although only some of them have an economic value (espodumene, lepidolite, petalite, amblygonite and eucryptite). It may be found in natural brines, oil well-related brines and to geothermal fields as well as in several clays (hectorite is the most important one) and even in sea water. Even though there may be several lithium sources, there are only two current economically feasible processes to obtain: by means of brines and ores. Last 30th March, the Chamber of Deputies approved, as a whole, the Bill to create the company Yacimientos del Litio Boliviano (YLB). It will be in charge of fostering this ore industrialization. YLB will start with the economic resources destined to industrialize lithium through the National Management of Evaporite Resources that amounts to 700 million dollars. Paragraph III of the only article of said bill provides that for the purposes of posterior processes of semi-industrialization, industrialization and waste processing, the state company YLB will be permitted to celebrate association contracts with either national or foreign private companies provided that the State keep the largest share. Regarding this topic, the ministry said that partners will be necessary for the lithium industrialization stage to contribute with technology not available in Bolivia. At present, Chile produces 41% of lithium used all over the world. Augusto Pinochet, the Chilean dictator, forbade lithium extraction on the part of multinational companies but granted the monopolic production to two companies: Sociedad Chilena del Litio (SCL) and Sociedad Química y Minera de Chile (Soquimich, SQM). Large multinational companies such as MitsuSumitomo, Samsung and Bolloré, have long been lobbying and bribing politicians to extract this lithium. 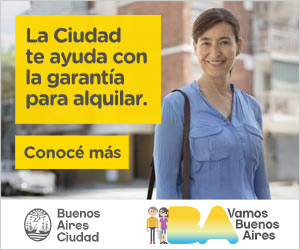 Cámara de Comercio Argentino-Británica and the American Chamber of Commerce in Argentina . Having been agreed the oil and gas delivery from an important part of Vaca Muerta to the English and Dutch crowns through Shell, projects are now aimed at lithium delivery taking into account that, during last decade, consumption of this ore was ten times higher. On that same date, it was announced the celebration of an agreement to operate the 90,000 hectares of Salinas Grandes to exploit lithium. On 23rd, March the Argentine government announced that Orocobre will invest U$S 160 million to extract lithium and the Canadian company Enirgi Group Corporation will invest U$S 720 million to extract the same mineral in Salar del Rincón, in Salta, in order to process 50,000 tons per year. The Salar del Hombre Muerto, located in the border between Catamarca and Salta, started its production in the year 1998 as the result of interest on the part of FMC, a North American mining company and Nissan, the automobile business. Later, the exploitation of Salar de Olaroz, in Jujuy Puna, was added. This project has associated the Australian transnational company Orocobre to the large automobile Japanese company Toyota Tsusho. It was even included the direct participation of Jujuy province in the business by means of a state company (JEMSE), within the frame of a strong intent to get the best resources for the provincial treasury. During last years, other Japanese automobile companies–such as Mitsubishi and Magna, a car part company or Kores, a Korean business- also lobbied. Agreements among the companies devoted to lithium extraction and the automobile companies represent a business pattern for the strategic objective for the latter to secure the purchase of a determined proportion of the carbonate or lithium chloride volume, according to batteries estimated to be required to manufacture electric vehicles. Last 31st, March, the Lithium Potential Assessment Project in Brazil, coordinated by the Brazilian Geological Service (CPRM) announced that the country had a growth of this substance world reserve from 0.5% to 8%, The experimental area of the lithium-mapping project in Brazil was the Jequitinhonha Valle Medio en Minas Gerais. 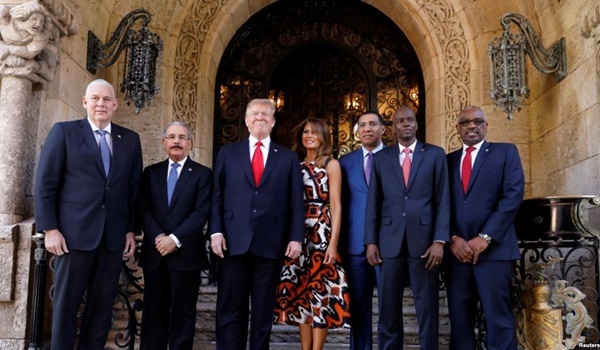 Calvyn Gardner, a representative of one of the English investment funds, announced that he will invest 40 million dollars to bring into operation an industrial plant to produce 60,000 tons per year. 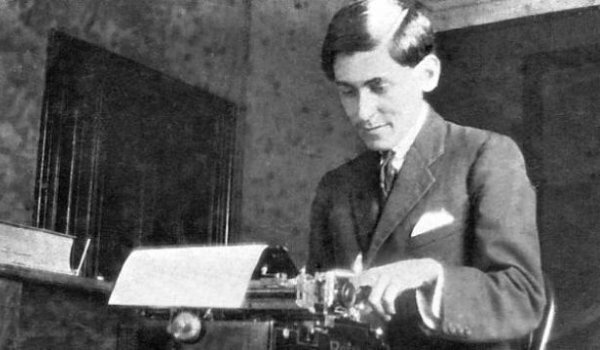 (*) Uruguayan journalist and sociologist, with studies from Centro Latinoamericano de Análisis Estratégico (CLAE, estrategia.la).